New outfit with this season trending clothing and colours. 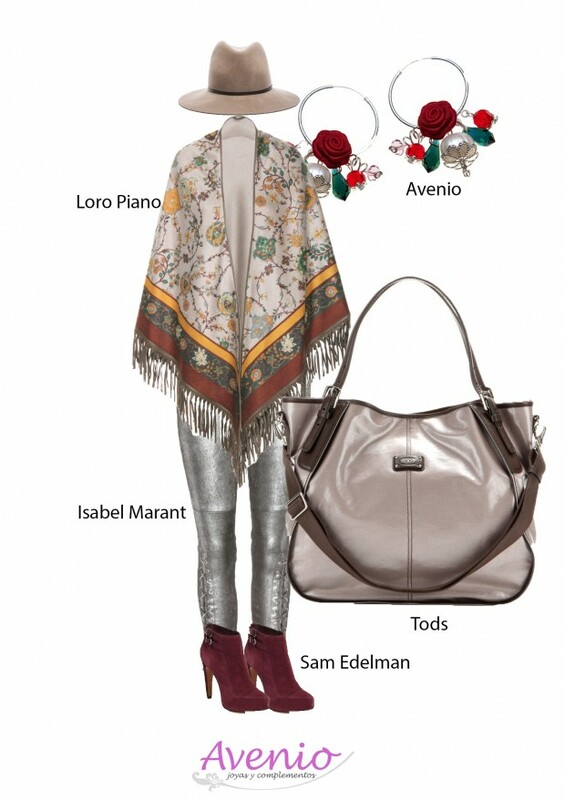 Floral print folk-style fringed cape is worn over a pair of silver colour leather skinny trousers. The outfit is accessorized designer earrings, grey hat and tote bag and burgundy boots. Neutral, cold tones are contrasted with hot colours. How can we get an ultra feminine look with a masculine touch? A gorgeous baroque-burlesque vintage style fashion accessory.